Senate Democrats have shown their willingness to shut down the government in lieu of spending nearly $6 billion on a border wall, but compare that price tag to some of the other expenditures the government funds. House Republicans passed a stopgap funding bill on Thursday that included $5.7 billion to build a wall along the U.S.-Mexico border. 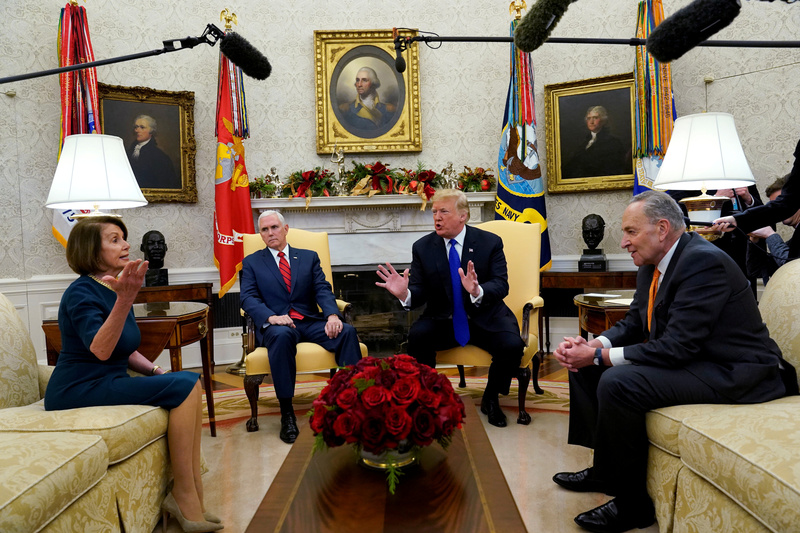 However, Senate Minority Leader Chuck Schumer vowed to kill any funding measure appropriating for a wall’s construction. Schumer has referred to the wall as “expensive and ineffective,” but just how expensive is it relative to recent expenditures? The Environmental and Protection Agency (EPA) was appropriated a $5.7 billion budget in 2018, down from the roughly $8 billion annual budget it has received since the mid-1990s. Inline with the agency’s mission statement, nearly 90 percent of the budget is used to provide grants safeguarding clear air, land and water, according to National Geographic. A Government Accountability Office report uncovered that while the EPA’s budget has been remaining relatively stable, the amount of employees on the public relations staff has been spiking. In less than a decade, the agency increased its public relations staff by 16 percent with more than 140 employees dedicated to pushing the EPA’s message. According to a 2014 Special Inspector General report, American taxpayers took an $11.2 billion loss on its bailout of General Motors (GM). After the automaker declared bankruptcy in 2009, the government invested $49.5 billion in the company with a 61 percent equity share. Overtime, GM’s stock price dropped, and despite selling back shares, the U.S. government took billion dollar losses. The Senate is scheduled to reconvene on Dec. 27 to resume appropriations discussions.